No worries, we are also pretty slow on response time these days. Here a few thoughts / questions based on your responses. After this I PROMISE to move on to a new topic of conversation. Thanks for helping me think through some of these topics and provide some new resources / ideas. I will be sure to share them with the other folks at the Center. Now on to the rebuttal. Not sure if I would lump mutagenesis and intra/inter-species cross-fertilization. Those seem like pretty significantly different processes in terms of the genotypical change that can take place, no? Wondering if you have any thoughts on Japanese Space Beer or Chinese Space Potatoes? Would like to get some of each and serve them at a Genomic Gastronomy dinner. Fair enough, but the precautionary principle relating to nuclear power plants is looking a little different in light of Japan’s Tsunami. There have certainly been thoughtful critics of placing a nuclear power plant in Okuma, making arguments grounded in risk scenarios that were statistically improbable but conceptually possible. Obviously, if Nuclear goes off the table as part of the energy mix in many countries now, energy choices will be much more acute because our energy systems are path dependent, and many countries have invested heavily (infrastructure, ideologically, etc.) in Nuclear as part of the mix. At the expense of other paths we could have taken. If arguments against the siting and design of the Fukushima I Nuclear Power Plant been taken seriously, would the entire world be in a very different solution space regarding energy? Risk assessment is much more difficult when one is dealing with highly non-linear systems like nuclear energy and global agricultural production. These are hugely complex systems, and not surprisingly our tools are primarily focused on human agents, and we have tend to discount Black Swans. I agree they should not be conflated, but they are also inextricable & intertwined. The fact that the majority of GE crops in the ground in the U.S. are fungible field crops for processing and feeding animals and are created by large multi-national corporations doesn’t help the social perception of the technology. One fairly good article I have seen on the BT Brinjal story is here (.pdf from Economics & Political Weekly: India). Obviously, if we expect citizens and non-experts to have some basic scientific literacy, we as GE domain experts can expect to learn a little about policy / history / cultural preferences. I highly recommend understanding this story because it lays out the diversity of preferences / biases / constraints of the innumerable stakeholders involved in a country of over 1 Billion. Having lived in India on and off for 5 years I can say that citizens have enough sense to “shatter monopolies and enforce government oversight.” It seems to me the fact that Indian citizens collectively reversed the GEACs decision and got a 2-year stay on the introduction of a product that the majority of citizens had legitimate and irrational concerns about seems to indicate a functioning democracy, even if it is at the temporary expense of a foriegn multi-national. Obviously, one need only look at the U.S. financial sector to know that it is American citizens who may not have the “sense” you speak of. Don’t forget the worst “expert” offenders at the banks were the Quants, often trained as Physicist and in Complex Systems modeling, who relied on hard data to do risk assessment. I wouldn’t blame anyone for NOT having the impression that “technological progress eventually floats” all boats at this moment in history. We’ll see how things shake out. I remain rationally optimistic. This is a extremely over-simplified narrative about how farming and seed procurement happens, especially in contexts like South Asia. I agree there is nothing top-down about the introduction of any new crop – it is more like an insanely dense network of mediators who are all constrained and have preferences and biases for different, non-rational and co-evolving reasons. I would be happy to track down some ethnographies of Farmers and Seed buying habits if you would be interested in getting at the more nuanced and complex picture on the ground, which is neither top-down nor based ONLY on the preferences of the farmers. Agreed. I would love to support this effort. Is there any particularly good advocacy group in the U.S. or India that you can point me too? This is a really good point. One of the things we are trying to understand is what varietals of Brinjal (aubergene) were made BT for the Indian / Phillipino market. 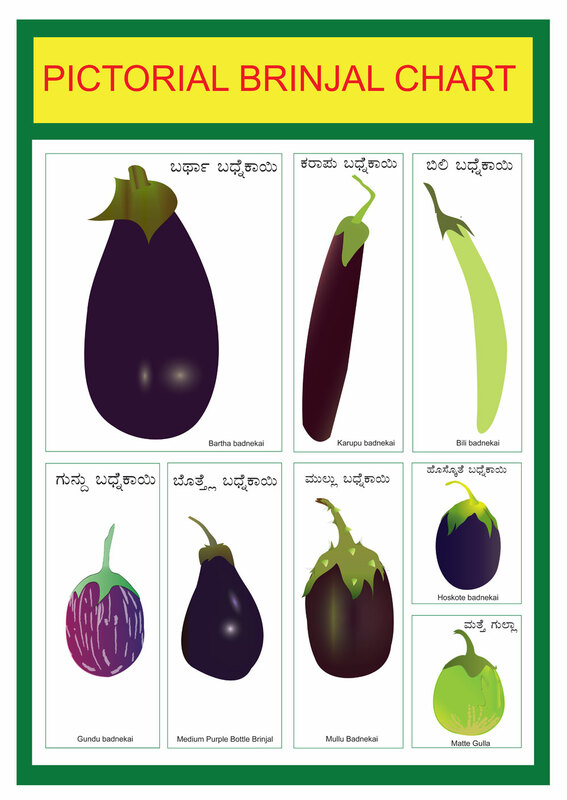 In India each region has it’s own Brinjal cultivar tied to food traditions such as recipes, stories, etc. I am wondering how Mahyco was planning on marketing their product or suite of products to a food culture that is so diverse. I also think you make a good point in relation to corn production (GE or not) in the U.S. I don’t usually think of Coca-Cola and Doritos as traditional foods, and yet in a little over 100 years foods like these have replaced the majority of traditional food being served in North America. Obviously, that is a larger issue of food system design, industrial agriculture, American urbanization and then suburbanization, etc. but I don’t want to be naive about the effect of agronomic decisions on gastronomic decisions. Changing foldaways on each end may not be directly causal, but they are certainly correlated. (i.e. More fungible corn grown – more corn syrup / fuel / other processed products created). The purpose of a system is what it does – and what the system of GE crops in the U.S. has done (save Papaya and a few other small time plants) is perpetuate an unhealthy and ecologically unsound food system. I agree that we should “fix” ours first before telling others what to do. Where would you see GE technology best employed to make the American food system more resilient and retain our food traditions? I appreciate your optimism, and I look forward to beers at some point to hash out the above point, but with so little history / humanities courses required in engineering and hard science programs (especially in the post-secondary institutions I have visited in India) I am very skeptical of ASSUMING that geneticists and agronomists are aware of the history of the Green Revolution outside of the lens of their discipline. I guess I am one of those people, so it is good we are conversing. India is the second biggest Eggplant producer after China and based on Monsanto/Mahyco’s previous market share increase when a product is released, we can guess that that their goal would be to be the dominate supplier of Brinjal seeds on the sub-continent. But I agree that we have overly romantic notions about farming, whether industrial or subsistence. There is a reason both of us are gardeners and not farmers, but mad respect for the farmers that feed us. However, one of the major selling point of the BT product line is that has been touted as a way to reduce pesticide use. If that is not an accurate claim the company / state agency / NGO etc. has an opportunity to improve the situation through user training etc. Otherwise, the claim that using a BT varietal reduces pesticide use is empty. This is where social science empiricism has to be taken as serious as natural science empiricism. Are farmers spraying less chemicals around their children? How do we test and verify this hypothesis? Agreed. That is when I laugh when I am told that farming is “natural”. There is nothing natural about bizzaro selectively bred organisms that do humans bidding at the expense of the preference of most other non-humans. However, it is pretty clear that our current economic system hasn’t found a way to monetize externalities, support ecosystem services or build in resilience instead of efficiency. Whether subsistence farmers lead the way, or American farmers do, it is pretty clear that mono-cultural industrial farming that is then highly processed into embodied-energy-intensive packaged food that is shipped around the world is probably not going to be what ANYONE is doing on a planet of 9 Billion people and diminishing energy inputs. I think Cambia and some other more progressive organizations understand the potential of open source genetics: that one could use a variety of techniques and technologies (including GE) to create highly geographic specific cultivars that take into account existing foodaways and nutrient and flavor combinations. Thus far, we have not seen industry lead the way in that kind of Genetic Engineering. They have primarily opted for fungiblity and efficiency. Good point. I am glad you have thought about it that way. Going forward, it will be important to have a better schema and methodology for measuring and talking about the way different agricultural technologies effect a range of actors in the agricultural ecosystem. Again agreed, but in a slightly different way. I have eaten GE food for probably two decades as an American, and it has come primarily in the form of soda, processed snack food, and fast food. 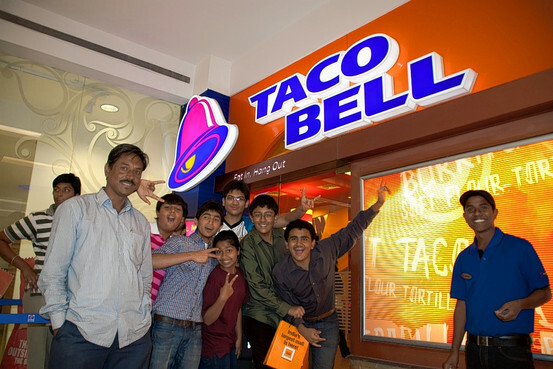 Is it surprising to you that the first Taco Bell opened in India last year and PIZZA HUTS are popping up like mushrooms? I assume that these are the outputs for BT corn NOT feeding subsistence farmers. So while I agree we can not make choices for other people, we shouldn’t be naive about the complexity and the output of the American food system. 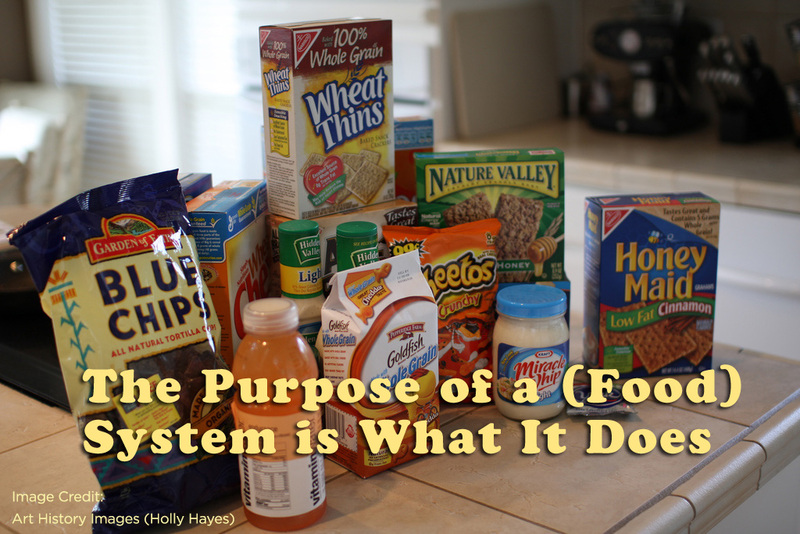 The purpose of a system is what it does. Why did Monsanto/Mahyco attempt to gain approval for Eggplant as opposed to any of the other transgenic frutis/vegetables that would have garnered less popular resistance? It appears that Monsanto believed if they could gain approval in India, a massive market by any standard, they would dominate Eggplant production outside of China. China has its own home-grown transgenic varietals and would not likely strictly enforce Monsanto’s IP even if farmers were growing the plant. (Legally or illegally). We have examined foodways and agricultural biodiversity a lot in this blog, and it appears that one of the rallying points for the popular resistance to the approval of this product in India is the sheer diversity of the plant, and the personal cultural and geographic connection many eaters feel to their varietals. We still have not found good documentation of which cultivars had been genetically modified or were planned to be sold.